How to Apply : For details of advertisement and required qualification, age. categories, other eligibility criteria of the above notified engagement and how to apply etc. 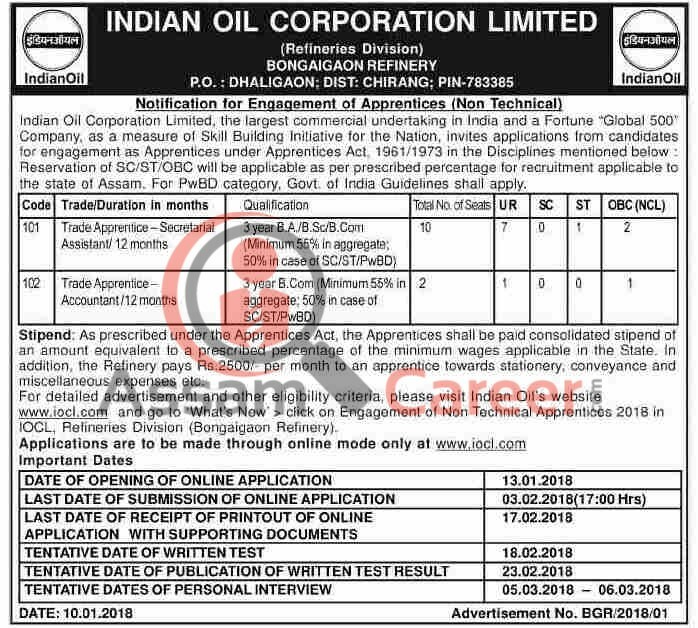 visit our website www.iocl.com and go to 'What's New' > click on Engagement of Non Technical Apprentices 2018 in IOCL, Refineries Division and apply on-line. It is mandatory to submit online application only.